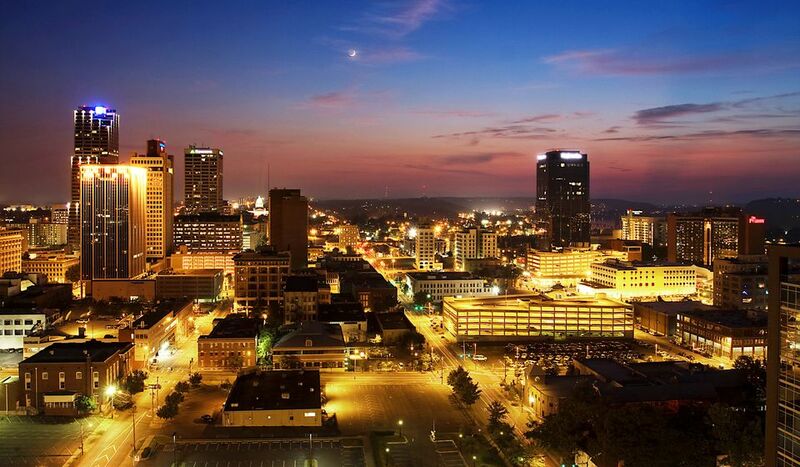 Downtown Little Rock has many great restaurants. There's the trendy River Market area (and the market itself), the hip South Main area and everything in between. This list isn't in order of best to worst, because the best restaurants downtown include many styles, price ranges and types of food. It's hard to pick a best with such a variety. No best of List in Little Rock would be complete without the Capital Hotel. They constantly serve excellent food in a fine dining setting. They are pricey, but make for a special evening out. The lunch menu is reasonable. If you are near the Capital Hotel and looking for something with a little less of a fine dining air, try the Capital Bar and Grill. They are a little less pricey and always great. Dizzy's is probably the most unique restaurant in downtown Little Rock. They've got an eclectic menu, fun atmosphere, and really good food. The large menu has pasta, salads, sandwiches and more. Some of the best food I've had in downtown Little Rock has come from Dizzy's. I was a little disappointed when I found out the Flying Fish wasn't unique to downtown Little Rock (Memphis has one too), but it doesn't stop me from loving this place. The place has no pretense at all. You order at a counter and wait for your number to be called. Everything fried is available here from catfish and hush puppies to okra. They also have some healthier seafood options and chicken. The atmosphere is a can't miss, but it's very casual. Iriana's might just be the best pizza in downtown Little Rock (Vino's is another good place to try). You won't find too many tourists here, but locals love their sweep the floor pizza. They serve a thick crust, but not quite "Chicago style." Sonny Williams is fine dining and a little pricy, but some say it's the best steak in the city. If you're looking for a nice evening out, Sonny Williams will not disappoint. They do serve a few items besides steak, but the steak is the real draw. I can't list just one downtown burger, so I'm cheating. Cotham's is probably the most famous burger place in Little Rock. They've been featured on Man Vs. Food for their hubcap burgers, which can go up to about four pounds. They've got a pretty good normal sized burger. The best burger in the city? That's debatable. They are worth checking out. The Box is often called the best burger in the city by locals. There's nothing fancy here, just a solid burger and great fries. Midtown Billiards doesn't get enough credit for having great burgers. It could be their location is a little off the beaten path for most. It could be that they're most famous for staying open and serving food (like burgers) later than anyone else. You wouldn't expect to find one of the best burgers in the city at 2 a.m., but you might just find in here. The Clinton Library is a can't miss destination for tourists, and it actually has a really nice restaurant. Forty Two (because Clinton was the 42nd president) offers upscale Southern favorites and new American cuisine. It's white tablecloth dining. They serve a great brunch. If you're looking for Asian cuisine, specifically sushi, downtown, you don't have much of a choice. Hanaroo is one of the best places to get sushi in the city, and they are very reasonably priced. If you want a unique place to sample of Little Rock's best craft beer, Lost Forty is the place. Lost Forty is a craft brewery with a restaurant. The restaurant has unusual communal seating. Everyone shares several large tables. They have some individual tables, but they are harder to get. Located at 501 Byrd St.